Thoroughly Modern Millie was offensive to me. White privilege denies me the right to feel the pain I experienced. Whether you are white or a person of color, if you were not offended by the musical, you have no right to deny another’s pain. That’s my takeaway from the Talk Back. Last night I reluctantly attended the Talk Back held at Newton North High School to discuss the stereotypes from the recent musical Thoroughly Modern Millie. Emotions were heightened as The Boston Globe was running a piece the next day and had spent an hour interviewing administrators at Newton North. I did not want to go. This racist controversy was wearing on me. It is not even my personal bone to pick. I am a third generation Asian American and my children — ethnically Chinese, Japanese and Korean — have never experienced racism at all. This was not my cause. I have actually spent the last year on a crusade to make available more multicultural books for children, even creating a special day for celebration this past January. And yet, maybe this is the same thing. Learning empathy from other voices through children’s books seems an effective way to combat the nascent racism in all of us and certainly bubbles under the surface of Newton as one insightful Newton North student who attended commented. So, what exactly happened at the Talk Back? The NNHS administrators, Todd R. Young (Chair, NNHS FPA Department), Adam Brown (Director, Theatre Ink), Jennifer Price (Principal, NNHS), and Bradley Jensen (English Teacher and director and choreographer of Thoroughly Modern Millie) started it off by saying that they were here to listen. The stories began as nearly 80 people in the room shared their perspectives. “I was really offended yesterday [her voice breaks and she is in tears]. And I read the program notes and what it said to me was there are some really bad stereotypes in here but we made it a teachable moment and everybody learned a lot so it’s ok. And it’s not ok. Teachable moments should be planned. They should not be reactions to something that someone else pointed out because that what it feels like to me. This was not one of those planned teachable moments. It’s not the message that I want my Asian American kids to hear that just because we learn about the issue that we can still do it. My father was an Asian American immigrant who was made fun of all the time for his accent and was never given any respect and was considered stupid until they found out that he was a doctor. “I chose to move here from Hawaii and to work here and live in Newton when it could be so much easier for me as an Asian American to live out West where people don’t question my experience as painful when I experience racism, little and big. “Telling Asian and Asian Americans that their anger is inappropriate or that art someone trumps the validity of their feelings is an indicator how deeply socialized White Supremacy is within us. … I was concerned about the letter that went out that said “for some this will still not be enough.” But I think that if it’s not enough for some in the community, then it shouldn’t be enough for Newton North and it shouldn’t be enough for Theatre Ink. And I was really concerned about that. I know that Theatre Ink thinks of itself as a professional company and that’s great but that doesn’t that mean that because there are Broadway shows that are more racist than Thoroughly Modern Millie that it’s ok to do Thoroughly Modern Millie. “Art tackling stereotypical representations and using that as a point of humor. When you thinking largely about the production as it was put on these past couple of days, to me there was an element about those moments of humor within the context of an audience that was predominantly white, within a cast that was also predominantly white, and feeling that the humor felt uncomfortable and spurred deep feelings of anger, of just general discomfort, because it seemed that the representations that you saw — which in actuality they were — lacked nuance and depth of experience. The hurt and anger were palpable. As well, the white privilege man to my near right. I will refer to him at White Privilege Man. A man in his late 50s were there to protest the protest he told me. As Asian Americans in the room shared their heartfelt stories of how this musical hurt them, White Privilege Man to my right made snorting, derisive noises. My husband called him out, asking him to speak up as he clearly did not agree with the Asians in the room. His point was that there were racist stereotypes in a lot of musicals and works of literature and that this was ok. When Michele Leong responded, she waited for him to reply. There was a long pause. Why? He had been texting on his phone the entire time, not listening and not realizing that, in fact, this Michele was speaking to him. That’s so telling isn’t it? So illustrative of the conflict between an Asian American trying to voice her feelings of not being heard and validated while While Privilege Husband snorted and texted away, not listening, not caring, not learning anything that night. And while I personally found this behavior offensive, he was an important reminder of the racism that exists in our community that takes a stubborn hold and is difficult to diminish. It won’t go away with just one night of sharing our feelings either — that much was clear! Thankfully, the Newton North teachers and administrators were a completely different story. They truly listened, painfully, and heard, painfully, what we of color had to say. That this was bullying all over again. That this hurt us. That some rising freshman of Asian descent were now nervous to come to NNHS (breaking the heart of principal Jennifer Price). That a grandfather and grandmother could not come to see their grandson perform because he elected not to try out for fear of subjecting them to painful racism. And then there was deadly silence as we all felt the shame, the sadness and the tragedy that could have been so easily been avoided. Newton North teachers were brave to lend their voices about how this play and their participation made them feel uncomfortable and marginalized. In the letter from NNHS, they asked why is ok for it not to be enough? “We do apologize for the impact that this has caused and may cause members of our community. Even with these steps in place, we acknowledge that for some it may not be enough.” No, they said. We expect more from Newton North. Make it enough. They asked why aren’t more Asian Americans on staff as teachers and administrators at Newton North? Why aren’t students of color in leadership roles at Theatre Ink? Why can’t all students take a Leadership Class led by Michele Leong that teaches racism in order to break it down. As each person told their story of disappointment in Newton North, of the hurt that they caused, of the pain that they felt, the emotions felt overwhelming at times. It was not surprising to see people break down in tears. But when Adam Brown bravely said, “I’m sorry, I am so, so sorry you are feeling the anger you are feeling. We blew it. I’m sorry,” the clouds parted. He had heard us. Truly heard us. And he wasn’t making any excuses or spouting any rhetoric. From there, the group came together. We felt validated for expressing our point of view. We felt heard. We knew we could work together and that changes, really wonderful and positive changes, were going to result from this. (Hopefully!) It felt great. We feel grateful to everyone in that room including White Privilege Man. On the stage of life, we all have roles to play and in seeing and really hearing each other, we can make something truly great. And that is the essence of Newton North High School and living in a town like Newton. I am so very proud of my community — students, NNHS alumni, parents, teachers, administrators, community members who are not even at NNHS, alderwoman, Asian American activists, neighbors and friends — on this day. For coming out. For speaking up. For listening. And most importantly, for the willingness to learn and grow. I am so grateful to you all for coming to my blog and attending the Talk Back. For engaging. For caring. For making our corner of the world just a little better. Thank you so much. I can not tell you what this means to me. One way to use this Talk Back as a teachable moment is to have students or audience members read the quotes and the compare it to the video of the exact same words. You will notice, as I have, how more affecting the video is compared to the words on the page. It’s because the video conveys the deep emotions in a way that the written word simply can not. p.p.s. Our neighboring town, Brookline, put on Thoroughly Modern Millie a few weeks ago. There was no murmur of dissent there. Why? They had, on their own, and without pushback from parents, rewritten the musical. I do not know if they did this under the radar or in conjunction with MTI who sells the script. They made Mrs. Meers a Southerner and the two Chinese brothers undercover cops. Brookline has a 18% Asian population. Newton has 11%. Does this 7% make all the difference? Why would Newton react differently to the racism in Thoroughly Modern Millie than our neighbor? What do you think? Brookline High School performed its own revised version last month. Thank you so much for taking the time to transcribe the powerful and passionate words of some of the audience members, and for providing your perspective here. I want to express my gratitude, as well, to all those who have spoken up – here and at the Talk Back and privately even before the issue went public – for their role in helping to bring this issue to a resolution. I am so glad to read that you left the Talk Back feeling grateful, proud, and validated!! I read the Boston Globe article and felt that NNHS was holding themselves accountable for their actions, and I’m glad to hear that the article was accurate in its reporting. As I mentioned when I first started commenting here, I do not live in Newton, but in a neighboring town. I am so happy and relieved to hear that despite the rough start, NNHS ultimately took responsibility. I hope all the towns in the area (and perhaps towns nationwide) will learn something from this experience. I appreciate, too, that White Privilege Husband and Wife were in attendance. They seemed to represent many of the comments that were made on the Boston Globe online article that denied that racism was even an issue. Their existence alone proves that more needs to be done to educate others and spread awareness about racism. It sounds like NNHS learned something from this experience, and I hope they will take action to make sure such racist insensitivity does not happen again. Mostly, given the strength of the words of Charlene Beh and Michele Leong, I am still surprised that their concerns were not appropriately received early on. When NNHS’s own faculty members feel so strongly about something, I hope that in the future, the school will pay more attention. Thank you, again, for having provided a forum for this discussion. i understand that people were offended but don’t you think some are taking this a little too far? being a little dramatic? an incoming freshman is “afraid” to come to school? really? sorry, but i’m sitting here rolling my eyes. Yes, it’s actually true and it disturbs me that you would dismiss a girl who is nervous to come to Newton North because she was bullied for her race in a Newton Elementary School and the school did nothing to stop it. And it’s not just one incoming freshman. Because for every one person who spoke out, there are likely dozens more who are too afraid to. Perhaps you would like to meet with her? Are you a current Newton North High School Student? LisaD, I don’t think you would be rolling your eyes if you actually been through an experience like mine, where I’ve been called every dirty Asian word under the sun, kids pulling back their eyes when they see you coming, kids greeting you with ‘ching chong chinaman’ and a bow, kids challenging and fighting you every single grade since 3rd grade. Think it’s not true? Wear my shoes for awhile. Even as an adult in Boston I had my car scratched with “Nip, go back where you came from”. I had boy scouts doing the ching chong chinatown bit as I’m heading off to court to do my job. I’m just scratching the surface here, I just don’t want the kids of today to go through the crap I went through. So if we are going too far, a little over dramatic, then by all means. Glad you can roll your eyes, b/c it sure aint fun going through this stuff. Thank you so much for sharing your experiences Andrew. I guess it’s a kind of blessing not to have ever experienced racism like LisaD such that she doubts that it even exists. But unfortunately, it’s not true for all of us. Pragmatic Mom, thank you for this powerful discussion re: the pain and insights that were shared by families and teachers during the Talk Back program the other night. My family was not able to attend, but your reporting here offers some validation and support. I feel grateful to all who spoke out, especially the teachers from North who were not really listened to previously and have more on the line when taking such risks. They have my utmost respect. It does sound like some administrators heard the messages being shared. I appreciate that. I really do. However, it is not enough. The message that LisaD posted here is proof that it is not enough. So is the fact that Asian members of the North community were only listened to after you took on a leadership role to bring this issue to the public’s attention. (Thank you so much!) And that no decision makers at North gave thought to the impact this would have on extended family members of students or incoming freshman who aren’t even part of the high school yet. And while I have been moved by the good intentions of the students from North who have written in response to some of your other blog entries to offer support to incoming freshman, I have simultaneously been disheartened to see that most only seem able to offer that support by denying that racism exists at North. I do not doubt the good intentions of these sincere students, but their attempts to offer support through the denial of racism only serve to reinforce the concerns of the students and families who have have been hurt by it. In conclusion, I want to know what North is going to do now to follow up. Saying they’re sorry is a good start, but that’s all it is. I want to see some measurable follow up on the part of North’s leaders and decision makers. How will they transform the pain they have witnessed into actions that reduce racism and the denial about it within the culture of the high school? I looked up your blog after I read the article in the globe. We have kids in high school. My wife was raised outside the US so we have some affinity for different perspectives. I also work on issues in special education as we had a difficult time with NPS some years ago. Since then I watch to see how people raise and address concerns with the school system. We talked about the Millie play at dinner last night. The kids heard about the controversy some time ago (from theater class and a friend who was offended). They talked about it in class yesterday too. My kids were concerned about the racism but not everyone at school felt the same way. We talked about why and believe it mostly has to do with perspective. The children’s book which comes to mind is Dr Seuss’ The Sneetches. It was a good discussion all around so I wanted to send you a note of support. Nice job raising the issue! Call it a teachable moment. Hopefully we can convert a mistake in to a useful tool for consciousness raising in the future. Congratulation on your being featured on the Front Page of the Boston Globe for your courageous blog about Anti-Asian racism in the local high school musical Thoroughly Modern Millie. Unfortunately, racism is everywhere on earth, in every country, society and community and is being often misused by politicians for popular votes. Anyway, life still goes on and we are still in the struggle for survival, whether there is racism or not and so, let sleeping dogs lie, in most cases. Hi. One thing to say and only one. This insensitive, over privileged wife you refer to is in fact my mother, and, despite what your judgmental and quick to assume mind put together is NOT married to “white privilege man”. Allow me to explain a little information about my mother. She has dedicated her life to helping other people. She lived in Spain, France, and Morocco, all doing charitable and culturally enriching activities. She is jewish, and was informed in Morocco (by ignorant Moroccans who had never seen a Jew before) that they were under the impression she was Catholic, and that should she be Jewish they would expect her to have horns and smell. Seriously. Once her worldwide travels took her back to the states, she worked for poor homeless people in New York who were being forced to live in slummy, crack house type hotels by the state, and she worked diligently through her brilliant law skills and exceptionally caring heart to save many families from filthy, hopeless lives. Once she was married (not to white privilege man as previously mentioned) but to a man who suffered from child abuse and also dedicated his life to helping children who are too poor to pay for medical services, or get treated with hostility due to their economic or social situations, she began to work for people with mental illness. I urge you to seriously seriously consider the judgements you are casting at people who live in Newton. No one can choose their race, no one can choose their privileges, their wealth, gender, religion, family, etc. But they can change their lives and how they make a mark on the world. My mother is trilingual, incredibly sensitive to all forms of oppression against minorities, and an exceptional person. And furthermore, not once did she “snottily” make any comments during the session. She was there, in fact, to only listen. Please refer to your video for that verification. I expect a sincere apology for how you spoke to my mother, my role model, the strongest and most sensitive and caring, and yes–white– woman I know. Just as I sincerely and genuinely apologize for the oppression you feel Newton has caused to you, your family, and culture. Please don’t fight your feelings of sadness with hate towards people you know nothing about. It will not help your cause, and it will not make the world a better place. You would never like anyone to talk about you as a mother the way you have spoken about mine. Hi. I sat behind/nearby you and White Priveleged Woman. She said not one word to you the entire time. And this can be verified by anyone sitting near you, or your videos. She was silent and observing the entire time. You owe a much better apology to this girl for insulting and immediately making judgements on her seemingly incredible mother. I am an actor from the cast of “Thoroughly Modern Millie,” and, I admit with a combination of guilt and shame, the son of “White Privilege Man.” I want to say, first off, that I do not condone my father’s words or behavior at that talkback. As his much more liberal son, I can tell you that my father has a long way to go when it comes to understanding white privilege, as well as the troubling nature of any comment that seems to invalidate the emotions of a marginalized minority, for he will never be able to relate or understand the struggle. I’ve used this as an opportunity to create a dialogue within my home to help my father understand the repercussions of his inability to recognize his own white privilege, and his consequentially cavalier attitude toward this issue. He was speaking in defense of Theatre Ink, but his comment (and his texting) do go to show how much some community members have to learn. On his behalf, I would like to apologize. That said, as my friend (“White Privilege Woman”‘s daughter) pointed out to you above, “White Privilege Woman” is not married to my father… in fact, they are friendly acquaintances who happened run into each other in the parking lot and ended up sitting next to each other at the meeting, nothing much more. That said, like “Observer,” I urge you to apologize more sincerely to “White Privilege Woman”‘s daughter, my friend. I firmly believe that the way you feel toward my friend’s innocent, extremely liberal mother who has helped a myriad of causes and done more good in this world for the troubled and oppressed than you could ever know, is nothing more than guilt by association. I don’t ask you to forgive my father. I can see why you wouldn’t, and as stated earlier, I do not condone his actions and am doing everything I can to try to change his attitude, at least to some extent. I only ask that you no longer associate my friend’s mother with his opinions, for these two people are on different wavelengths, as far as I know. I think that your quickness to point fingers at “White Privilege Woman” stems from a misinterpretation of her supposed comment. I sat on the other side of the room, so I did not hear her say, “We are not here to support you,” but assuming she did say that (which is an assumption on my part, as nobody else has shown me evidence or even an observation of her saying that to you), she certainly wasn’t as generalizing as you claim. In your above blog post, you include a bracketed paraphrase when you quote her: “We are not here to support you [the Asian Americans].” What makes you jump so quickly to the conclusion that anybody (or at least anybody silent; I won’t speak for my father) was not on the Asian Americans’ side? Perhaps she was on the general side of the cause, just not the side of you, Mia Wenjen. I say this because I fall into that category. I have come to terms with my white privilege, and every day I wish there were more I could do to understand and appreciate the struggle of marginalized minorities, but nonetheless I realize that the most I can do is to sympathize with the negative emotions experienced by the local Asian/Asian American community as a result of a project that I was a part of, and to never, ever ask such a vibrant community to quiet these valid and necessary statements, as difficult as they may be to hear. That said, I don’t agree with or support the way that YOU, individually, are going about this. I absolutely acknowledge and agonize over the fact that there were victims. That said, your methods seem to focus more on pointing fingers and venting about the missteps of the past than creating teachable, educational, community-oriented ways to get past that. Belligerence was present in your original blog post, as well as your attitude at the talkback. And I don’t think that belligerence is what’s going to help this community learn and grow. Luckily, you are one of few belligerent opposers of the show. Many of the Asian American speakers at the talkback presented emotional, thoughtful, painful stories and opinions at the talkback that spoke to me so clearly and that changed my outlook in a way that I am thankful for. I am such a strong supporter and ally of the local Asian/Asian American community after that event because of how much I learned and grew to appreciate on Monday, and how much this experience will continue to help me grow. But the comments and writings that made me feel this way were separate from your aggression and accusatory manner. Just because there are victims doesn’t mean that they key here is to shame a perpetrator. Overall, Theatre Ink is an amazing program that saved my life, and yes, we took a misstep, but your attitude is not nearly as effective as that of many of your much more articulate, education-oriented/community-oriented (rather than accusation-oriented) peers. Bringing people together over an issue like this includes resisting the urge to leave beloved people, or programs (especially beloved ones like Adam Brown and Theatre Ink) out of a circle of trust and learning by treating them like an enemy of a cause, as worthy as your cause may be. So maybe keep attitudes like mine in mind before accusing valuable allies in the community like “White Privilege Woman” of opposing the entire Asian/Asian American community, which I can say, with 100 percent confidence, was neither her intent nor her action. By forming the bracketed syllogism of “We are not here to support you [the Asian Americans],” you are saying that your methods of this argument represent all the Asian Americans involved in this dialogue, which is as dangerous as saying that a woman who has dedicated her life to moving past her white privilege and helping oppressed people is the realization of white privilege (and honest to God, I am so sorry that I cannot say the same of my father). A lot of white people in that room, including me, were on the side of the Asian Americans and were hoping to be incredibly sensitive. I haven’t backed down from supporting your cause, simply because I find your cause worthier than your behavior is repugnant, but that doesn’t mean that I support you as an individual. Maybe think of that before you exclude valuable allies by using accusatory, generalizing language. I am the person you are calling “white privilege woman” and I went to the high school alone, walked into the high school alone, and sat in an empty chair that was across the room. When I sat down, the man you are calling “white privilege man” was seated to my left, and another gentleman was seated to his left, and Mia was seated to his left. I did not, at any point, before, during, or after the Talk Back, exchange any words with Mia. Mia did not greet me in the circle to thank me for coming, for she was seated when I arrived, and remained seated. And I never spoke directly to her at any time. She is utterly mistaken about my identity and 100% incorrect in attributing those words to me and I am very offended. I went to the meeting to listen and learn and that is precisely what I did — and all that I did. I recall you saying, “Just use pen and paper” during the Talk Back. This was in reference to whether or not I was allowed to videotape the Talk Back in order to transcribe the conversation in the name of education. Your remark was directed to me. Feel free to respond as to the tone of your comment. I did not feel that your tone was intended to be helpful. And, as a matter of fact, it would have been impossible to transcribe the quotes in this post from note taking. I do not know shorthand nor did I bring a stenography machine. I uploaded more than 2 dozen videos from the Talk Back to my YouTube channel where I had to replay them back over and over again in order to capture the quotes accurately. I’m troubled and puzzled by your drastic action of removing most of your comments from this article without any explanation. After the talk back, my son was agonizing that the show shouldn’t have happened and was asking himself when they could have stopped it. I’m sure many involved in the show wish it didn’t happen. But it did happen and they cannot erase the history with a click of a button. On this blog, only you have a power to edit/erase the comments. By exercising that power, you erased the history of dialogue you had with the people who commented here. What message are you trying to give to the students who are courageously moving forward with the unerasable history? His point was that there were racist stereotypes in a lot of musicals and works of literature and that this was ok. When Michele Leong responded, she waited for him to reply. There was a long pause. “White privilege wife” said, “We are not here to support you [the Asian Americans]” when Wenjen greeted her. Another claims to be the son of “white privilege husband” and an actor in the musical. He must have written a thousand words or so, part of them supporting the goodness of “white privilege wife” and part talking about what a wonderful human being he is. And then he goes to the “tone” argument. Yeah, we have heard it all before. But I’m not sure we have “valuable allies” when our “allies” are busily writing more about how great they are. Because anti-racism with a white center will never work. Because trying to dictate how we proceed in social justice work is an attempt to control and often to silence. You can read it in the high school students’ comments. They are attempting to silence and to shame. Because white teens undoubtedly know more about racism than an adult Asian American woman who has lived the Asian American experience. Thank you, Ms. Wenjen, for sharing. It is indeed a thoroughly modern melee. Despite decades of “Diversity” discussions, news, books, articles and “training” in America, this nation has not yet achieved the ability to reconcile the painful realities of history with the hopes for a more equitable and peaceful future. The problem does indeed exist and persist worldwide. It is, however, a powerful positive that we can draw attention to the problem, speak openly and freely about it, and begin anew to work toward rethinking how history has shaped our thinking. Perhaps we would all do well to reconsider what is truly “classic” and what is nostalgia, what is remembering history versus what is paying tribute to it. I find it interesting how some people attempt to justify racial/ethnic indignity. WGBH-TV’s actions regarding this matter is laughable. The “public” television station had 3 caucasians dialoguing amongst themselves regarding the Asian stereotypes in the play for over 6 minutes! The irony is the fact that WGBH (a “public television” station) did not have one Asian person represented. 6 minutes is a very long time to discuss one topic in a television segment. Yet, WGBH did not have the foresight to feature one Asian-American in studio, or by remote means to present their argument or solutions. This seems like a weird joke to me. Especially when one considers that WGBH-TV is a “community based” television station. Moreover, for those of you who don’t know, WGBH-TV is a renowned flagship public television station in Boston, MA. They produce award-winning, international projects viewed by many. We’re not talking about some low powered, signing off the air at dusk type of entity. This is a powerhouse TV station. I’m confident Ms. Wenjen would have made herself available in some form. Especially since it was Ms. Wenjen’s blog that brought serious attention to the play’s cultural insensitivities. Even if she wasn’t available, certainly there are other Asian-Americans who could have addressed the issues during WGBH’s panel discussion. I am amazed at the audacity of WGBH-TV. Not inviting any of the offended parties to the table for dialogue was a gross miscalculation. I wanted to let you know that WBGH contacted me the morning of the show via email asking me to call so that I could provide background information. I called back that morning and left two messages but no one ever returned my call. 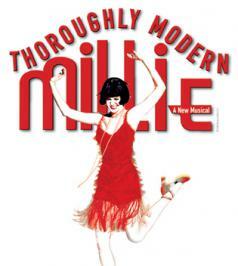 I’m the Arts Editor for WGBH and this evening will be discussing the “Thoroughly Modern Millie” story on our program. I’d like to speak to you for background if you have a moment. Would you mind calling me at the number below?